Click here to listen to or read sermons by Ross and others! Belleville Congregational Church has an interactive Bible Study and Discussion Group has been meeting with consistent and committed attendance, though always open to newcomers. We have found that the Bible is an endless source of faith and topics for discussion. Pastor Ross usually facilitates the group, using an approach that is more relational than didactic. Belleville Church has often said that the way we treat one another is more important than what we think/believe; we respect differing views and responses. Indeed, "by their fruits ye shall know them." The commitment is both to Biblical Inquiry, and also to one another. The Bible time involves reading out loud (gives us greater familiarity with the texts) and also reading from various commentaries (as well as plenty of commentary from the group!). It is also important to us to take time to share from our lives and be a source of prayerful support to one another. For more information about the Bible Study please contact Rev. Ross Varney at 978/465-7734. 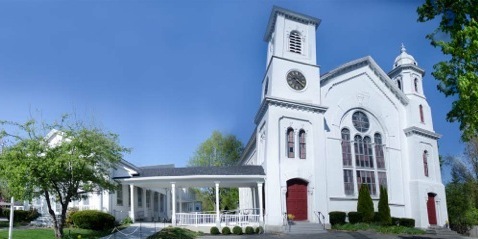 Belleville CongregationalChurch in Newburyport, MA is seeking an engaging, energetic person to lead our Sunday School program. 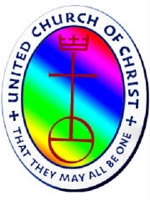 This position supports the core values of Belleville and The United Church of Christ by providing an inclusive learning environment for children in which all are respectfully welcomed. 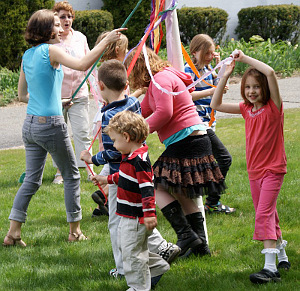 Our Sunday School Teacher will provide quality interactive faith exploration in a one classroom setting with children ranging in age from approximately 7-12 years old. Please click here for more information. 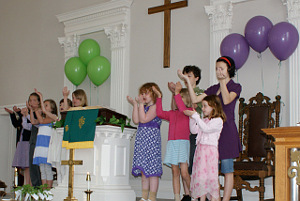 Belleville Congregational Church welcomes all children to participate in our Sunday School program. Our curriculum is an online program that is lectionary based entitled, "Whole People of God". This curriculum is geared for children aged 3 and above and also includes Intergenerational Worship services which we incorporate into the service a few times a year. During these services the children stay and participate for the entire service. These are usually during special religious events such as Thanksgiving Sunday and Pentecost Sunday. We also provide Nursery Care for children aged 3 and under. Our Sunday School program kicks off each year with a pancake breakfast and registration. This year, it will fall on Sunday, September 18th. Children begin each Sunday morning in worship and are then dismissed to Sunday school following the Children's Time (usually 15 minutes into the service). The younger children will enjoy a lesson followed by a craft and snack. The older children receive a lesson and learning of current events, especially those that involve the environment. Every two years all of the kids participate in the Kids as Peacemakers mural and it's always a big hit. In November we begin the month by collecting food donations for the local food pantries. It culminates with a blessing of the food on Thanksgiving Sunday. In addition we make 'May Baskets' and deliver them to the shut ins and those in nursing homes for members of our church and others. Each year we do a Christmas pageant that is held the Sunday before Christmas for the congregation during worship. This is one of our Intergenerational services. On Palm Sunday, we have a processional of the palms with a special song. 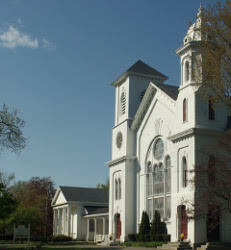 There are a lot of exciting opportunities happening here at Belleville Congregational Church. We hope you will join us on Sunday mornings for worship and Sunday School!